...can you supply the tenth? 1. The Unquiet Dead (set during Christmas, 1869) was initially entitled, ‘My Name’s Dickens... Charles Dickens’! 2. Dreaming of a Red Christmas? 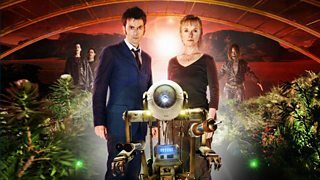 The November 2009 adventure, The Waters of Mars, was originally intended to be a Christmas Special and a few seasonal references survived, such as Bowie Base’s crew preparing for Christmas dinner. Its working title was the festive, Red Christmas. 3. Justin Chatwin plays The Ghost in The Return of Doctor Mysterio and he’s no stranger to superheroes… His very first onscreen appearance came in the pilot episode of Smallville, the US series that covered the early years of Clark Kent/Superman – one of the characters that inspired The Ghost! 4. 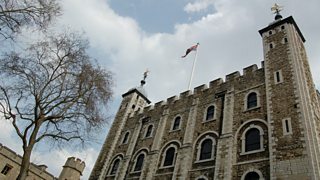 Doctor Who was the first TV drama granted permission to film on top of the Tower of London. The scenes formed an important part of The Christmas Invasion and were shot in a sunny July, 2005! 5. 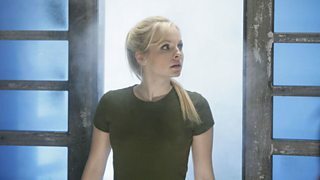 What did you think of the Christmas Special, Miracle on Bannerman Road, from The Sarah Jane Adventures? Never heard of it? That’s because although the story was originally planned to round off the show’s fourth season, sadly it never made it to the production stage. 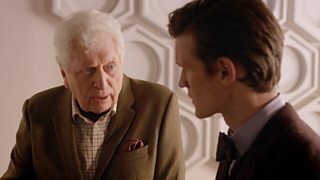 The adventure would have riffed off Charles Dickens’ A Christmas Carol and there was even talk of Tom Baker (seen below with Matt Smith) appearing in it! 6. And talking of Specials that never made it – Expelliarmus! 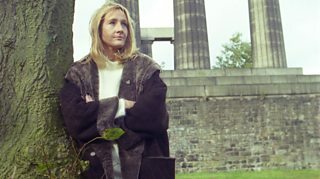 Doctor Who’s former head writer and exec producer, Russell T Davies, wanted J.K. Rowling (author of the Harry Potter books, seen below) to appear in a Christmas episode… The adventure would have seen the imagination of ‘good old JK’ not just become real, but transformed into a world that the Tenth Doctor would have to battle through! 7. Sheila Dunn played the wonderfully named Blossom Lefavre in the very first Christmas Special back in 1965. Sheila was the daughter of Bill Dunn, the famous engineer who designed the bulletproof engine of the plane seen in Victory of the Daleks – the Spitfire! 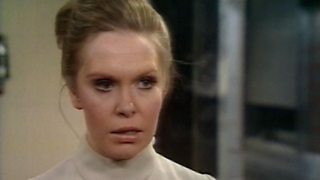 Sheila returned to Doctor Who in The Invasion and Inferno (as seen below) and later found fame playing the mother of Harry Hill! 8. 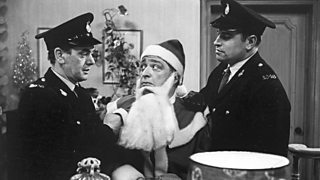 Douglas Camfield, who directed the 1965 Christmas Special, had wanted it to be Doctor Who’s first cross-over ep featuring characters and places used in the BBC police drama, Z Cars. But that show’s producer, David Rose, didn’t find the idea arresting (ouch!) and vetoed it! Above: A moment from Z Cars - It Never Rains. 9. What do the evil genius Professor Kettlewell (from Robot) and the Doctor’s daughter (from err, The Doctor’s Daughter) have in common? Both were played by actors – Edward Burnham and Georgia Tennant, née Moffett – who were born on Christmas Day. 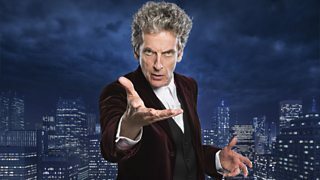 Have you got a tenth top trivia fact about the Doctor Who Christmas Specials? If so, tweet it using the hashtag #DWXmasFacts and we’ll retweet a few of our faves! 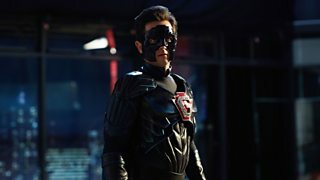 The Return of Doctor Mysterio: What We Know So Far!